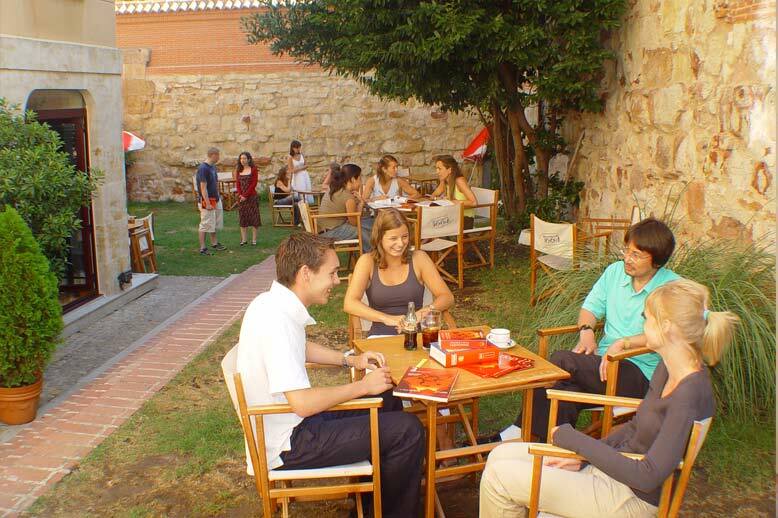 The don Quijote school in Salamanca is located in the heart of the old city center. The building is 100 meters from the famous University of Salamanca and just a short walk away from the magnificent Plaza Mayor. The school is a restored 16th-century monastery, whose modern materials used for the recent renovation create a natural balance with the richness, style and class of previous centuries. 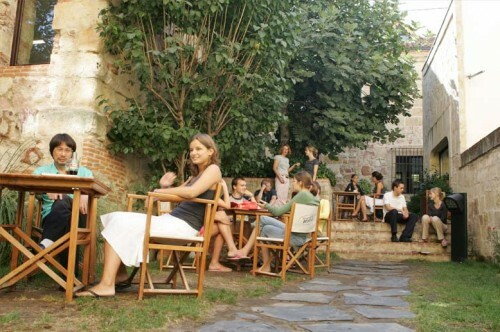 Studying Spanish in Salamanca in this antique building will make your stay worthwhile! You enter the Salamanca Spanish School through a beautiful courtyard. 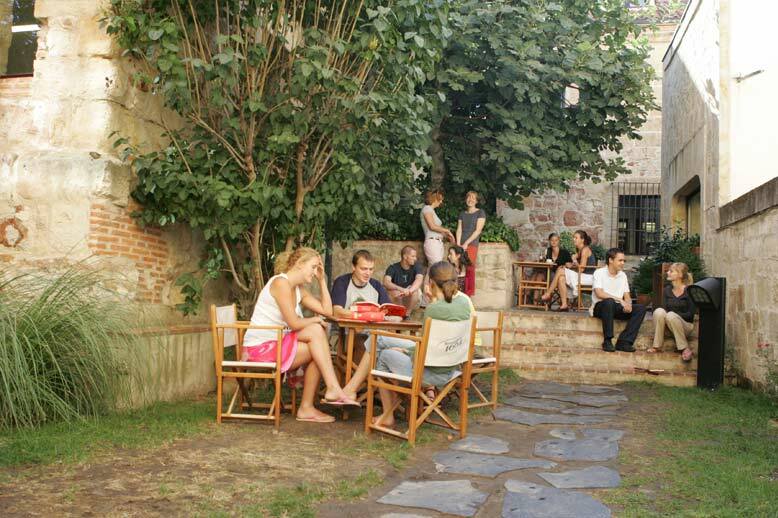 This courtyard and the garden divide the language school into three parts: the offices, the cafeteria and the classrooms. The main building has three floors, 17 classrooms, a recreation room (with computers, video, sound system, etc. ), a library, a staff/lounge and three offices, where you can learn Spanish. The Intensive Spanish course is undoubtedly our most popular class because it is designed to help students learn Spanish as quickly as possible through constant interaction. The classes are given entirely in Spanish in all levels, from beginning to advanced, so that students are divided according to their skill levels. The Premium Spanish course features Intensive Spanish classes in very reduced groups with the option of adding a series of Private One to One classes. Premium Spanish students will benefit from the individual attention and extra learning support that they will get from their professor so that they can quickly and effectively progress in the Spanish language. Our Spanish Conversation course is designed for students who are already familiar with Spanish grammar and theory and are purely interested in gaining experience through constant communicative practice. This interactive class combines a wide range of communication exercises to improve speaking, listening and writing skills through activities and tasks including conversations, songs, games, debates and much more. Looking for some great Spanish classes over winter break? don Quijote offers a special Intensive Spanish course so that you can experience how Christmas and the New Year are celebrated in your host country. You can look forward to experiencing traditions such as the Three Wise Men (Reyes Magos) parades and eating grapes during the countdown to welcome the New Year in Spain; or in Mexico, witness house-to-house processions, called Posadas, reenacting Mary and Joseph's search for shelter in Bethlehem. 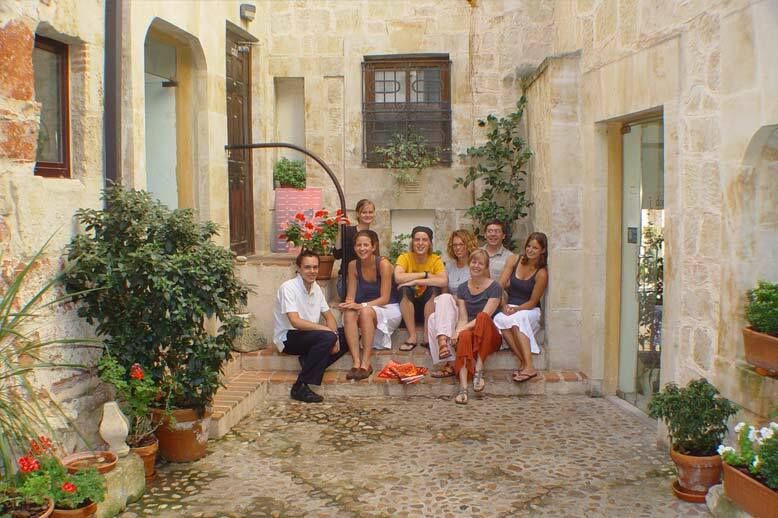 The Intensive Spanish Christmas course is perfect for students who want to take advantage of their winter break by studying Spanish during such a festive and exciting time of year. Our Spanish classes for senior citizens and older adults are designed for those over the age of 50 who want to learn and practice Spanish in a relaxed environment with other students of a similar age. This program for senior citizens and mature adults is ideal for those who have always wanted to study abroad but now think they may be too old to do so. You will have more confidence in a class with other similar aged adults with whom you can more easily relate and have discussions in Spanish. 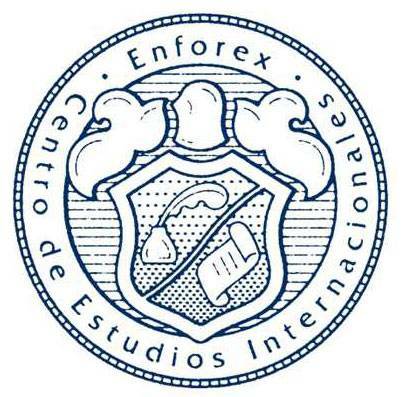 DELE stands for Diploma de Español como Lengua Extranjera, or "Spanish as a Foreign Language Diploma". It is the only certificate for non-native Spanish speakers that is officially recognized by the Spanish Ministry of Education. This diploma is of great international value for those who are going to study at a Spanish University and who want to work, or are going to work in a Spanish-speaking environment. The Spanish for Spanish Teachers course is designed for non-native Spanish educators interested in learning the latest and most effective approaches to Spanish teaching while brushing up and updating their own Spanish skills. The course also focuses on common and difficult grammar issues and practical ways to clearly present them in the classroom. 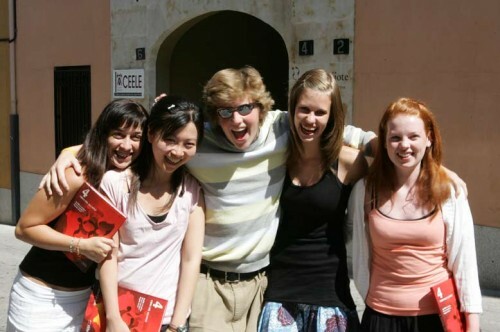 Immersion in the culture of your host country and cultural points discussed in class will give you first-hand insight into life in a Spanish-speaking region, an essential element of language instruction. The Business Spanish course is intended to help professionals with an intermediate Spanish level (or higher) gain the skills, confidence and vocabulary needed to successfully carry out business in Spanish. Students will practice business Spanish through a wide range of mock real life situations designed to ensure that students will gain the skills they need to interact with clients and colleagues in Spanish. The course is geared towards students with an intermediate (B1) level or higher who are eager to extend their knowledge on the historical and cultural aspects of Spain. It is taught by native Spanish-speaking professors with backgrounds in history, art and literature. All classes are held entirely in Spanish. 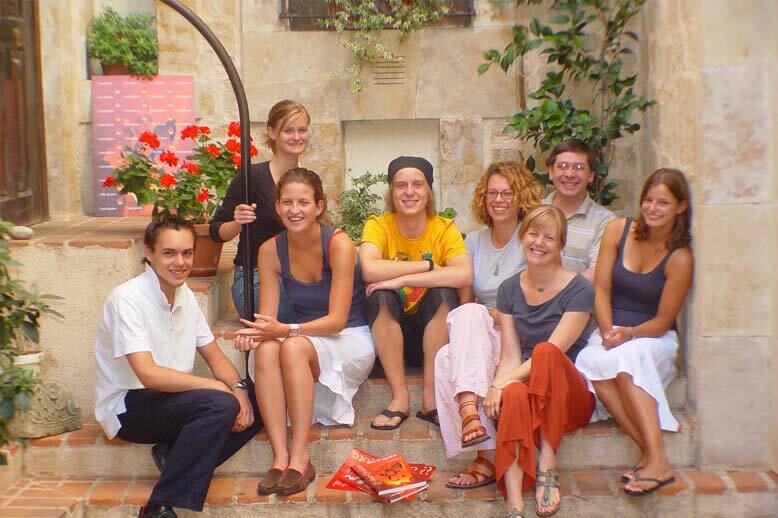 The course consists of history, art or literature classes that can be combined with a regular Spanish course. These specialized classes will focus on past historical events, important literary figures or art; all of which are fundamental in providing the student with a deep understanding of Spanish culture. The Spanish cooking classes will introduce you to famous dishes from the Mediterranean diet, known to be the world’s healthiest and characterized by its use of fresh fish, vibrant vegetables, seasonal fruit, beans and legumes, extra virgin olive oil, garlic, fish, seafood, poultry, cheese, yogurt and, of course, wine. You will learn how to make traditional Mediterranean dishes and popular Spanish food such as the Spanish omelet or paella, all sure to impress your friends and family once you get home. The program is available for students 18 to 35 years of age who have achieved at least an intermediate (B1) Spanish level prior to their work placement. Internships are unpaid as they are considered a learning experience in which the student is immersed in a professional Spanish-speaking environment in the available city of their choice. Students with less than an advanced Spanish level are required to participate in an Intensive Spanish course or combined Intensive and Business Spanish course prior to their internship in order to build the skills and confidence they need to succeed in the workplace.